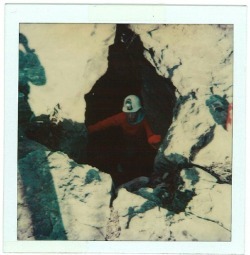 I began caving in the fall of 1978. 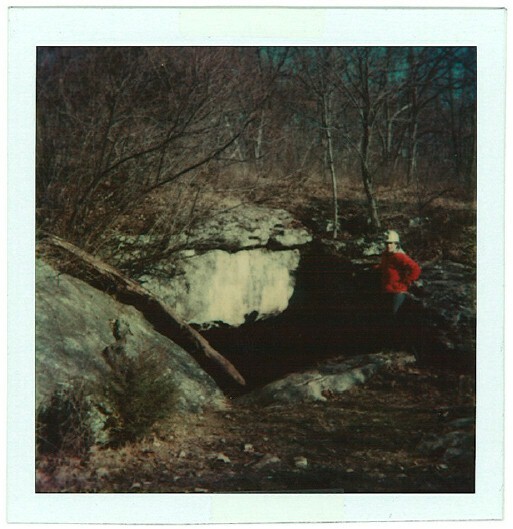 The first "wild cave" I explored was Devil's Slide Hole just north of Springfield, Missouri. 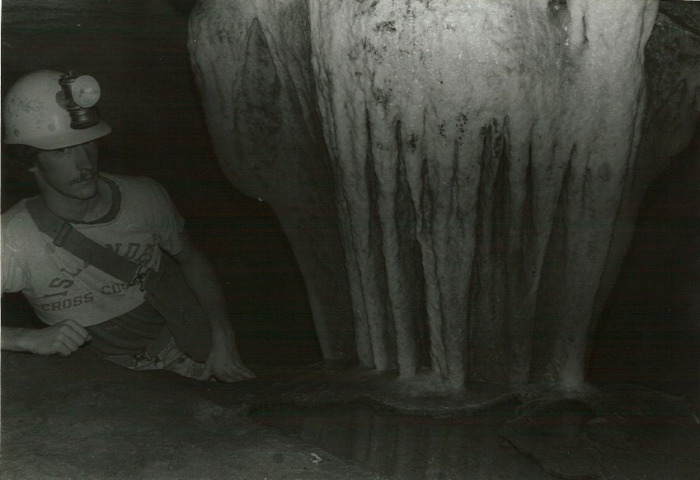 My dad told me about it because he had visited it 20+ years earlier when he was in college in Springfield. 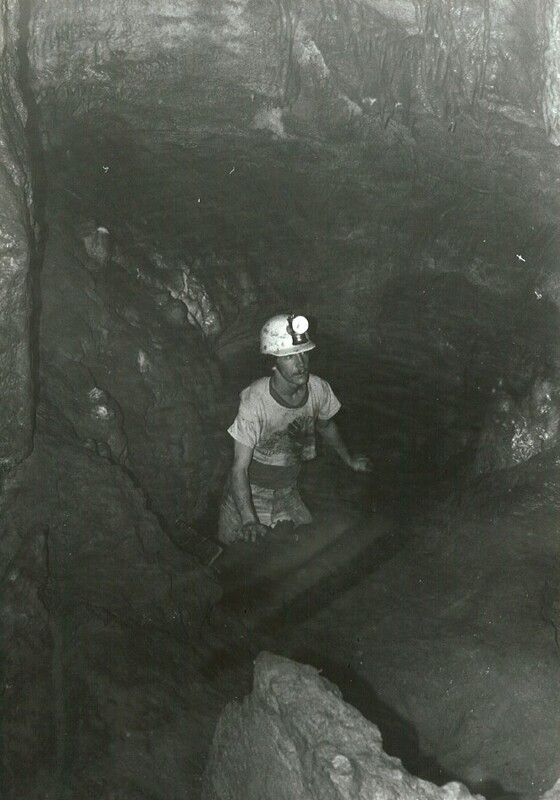 In late 1979 my caving buddy Howard Tripp and I found a cave in Christian County, MO and named it Breakdown Cave. 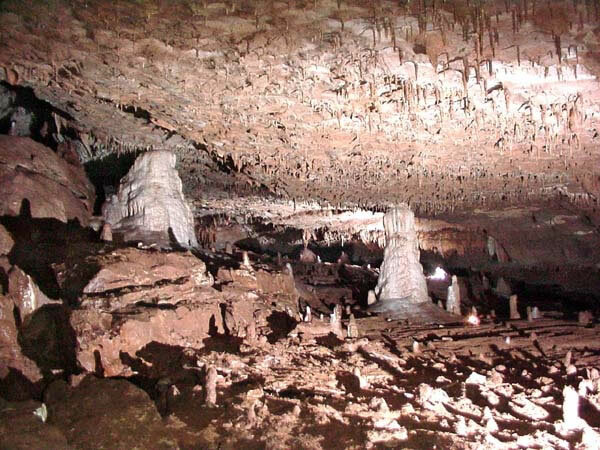 We introduced it to the Ozark Highlands Grotto cavers, and we began mapping it. 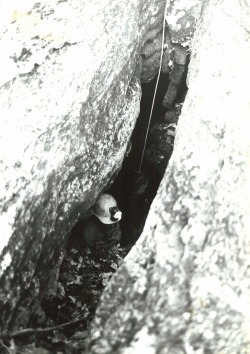 Breakdown Cave is now over a mile long. 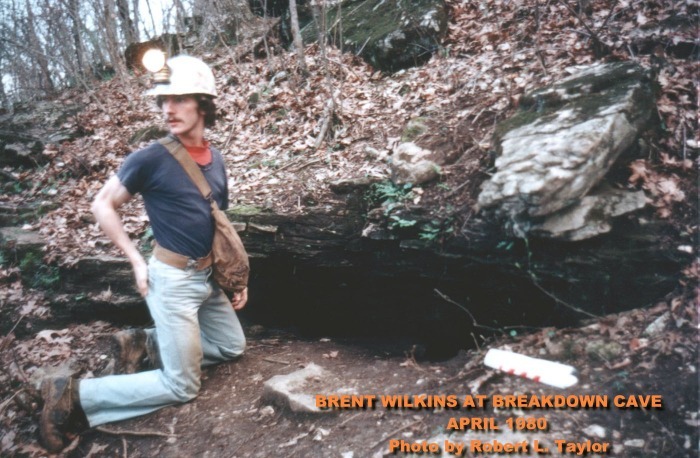 My first big "break-through" in Breakdown Cave was through what is now known as "Hell's Gate Constriction". Here is a photo of R. L. Taylor crawling through. 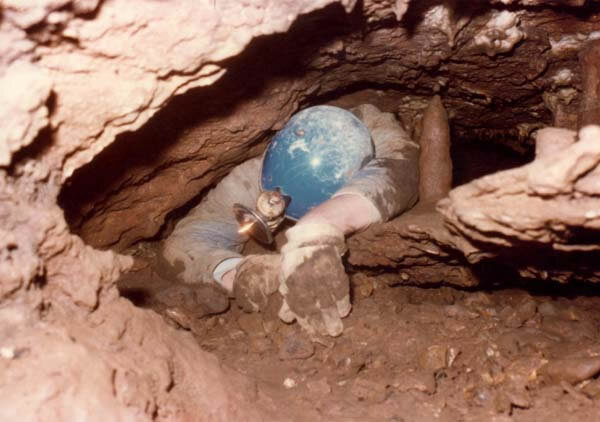 When I first went through the constriction the dirt/rock floor was at the point where the top of Taylor's left glove is (in the photo). We dug and made the constriction larger in following visits. Most of the mile long cave passage exists beyond Hell's Gate Constriction. When I first made it through, I crawled on ahead to stooping passage and then walking passage to a small room. When I returned to the low passage a few minutes later I heard much groaning, gasping and huffing. 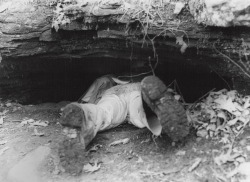 My buddy Howard had attempted to get through the constriction and was stuck. I spent quite some time using calming words and coaching Howard until he was able to free himself. His freedom also meant my freedom, since he was blocking me from being able to get to the only known entrance!